Basketball fans, looking for a place to stream the Raptors? Sportsnet NOW is your home for Raptors and NBA coverage in Canada. 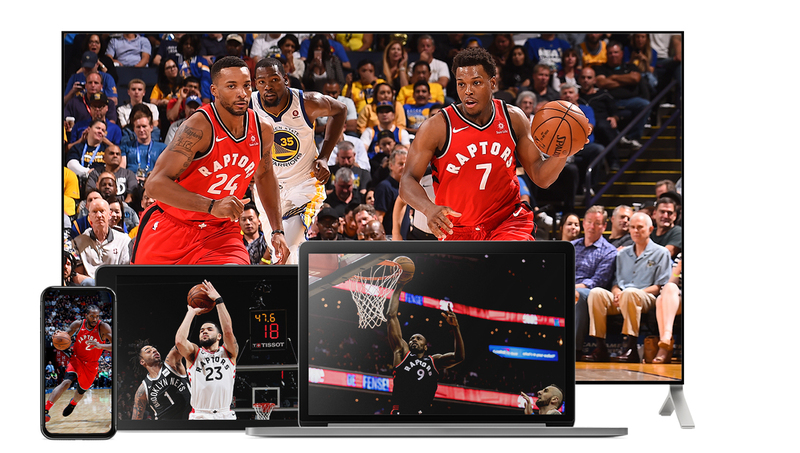 With a subscription to Sportsnet NOW, we’ve got you covered for 41 Raptors games this year, available to stream on any number of devices at your fingertips. Sign up for as long as you want and cancel whenever you’d like. No contracts or minimum commitments. *Note: This schedule is subject to change without warning. For the most up-to-date schedule for what’s on Sportsnet every day, check out www.sportsnet.ca/schedule. The first meeting between Kawhi Leonard and DeMar DeRozan in San Antonio, January 3. Two showdowns against LeBron James and the Los Angeles Lakers. Live coverage of Dwayne Casey’s return to Toronto on November 14 as the Raptors take on the Detroit Pistons at home. Three out of the four regular season meetings against the Boston Celtics. In addition to streaming 41 Raptors games, Sportsnet will also stream over 100 marquee regular season NBA games, featuring the Cleveland Cavaliers, Golden State Warriors, Los Angeles Lakers, Boston Celtics, Houston Rockets, Oklahoma City Thunder and more . That’s over 150 games of hoops action in total. Sportsnet will also have half of the NBA playoffs, all the way through the NBA Finals. So take the guesswork out of your NBA coverage this season and check out Sportsnet NOW for all your Raptors and NBA needs.